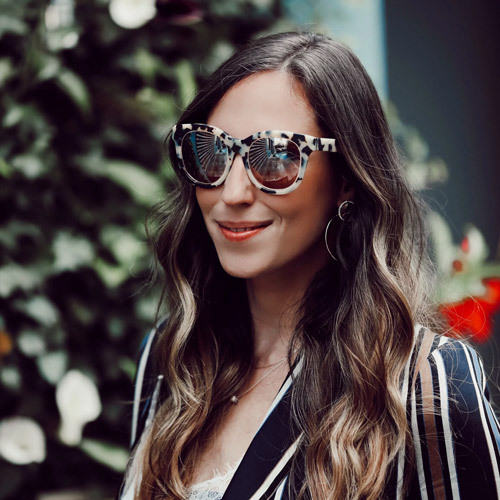 There is nothing I am loving more than plaid for Fall and this double breasted plaid blazer hits all the high marks when it comes to style. At only $25 this is the perfect addition to any wardrobe and can be paired in countless ways (check back later this week to see another way to wear it). Last week I had a few meetings in NYC and paired this look with this v-cut solid blouse (only $9) and a pair of ripped denim. These stiletto pumps were one of my favorite purchases from a few months ago (also seen here). 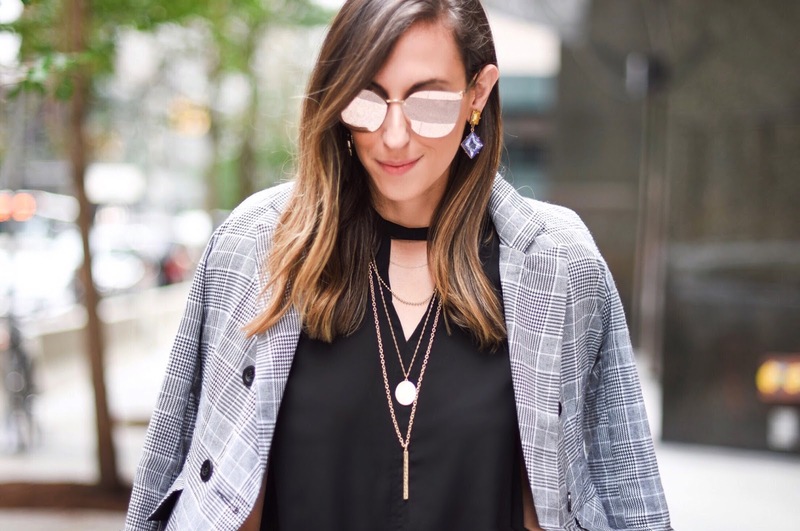 I chose to go bold on the accessories with this layered necklace from Canvas Jewelry (you can see some more great styles right here) and I added these gorgeous crystal drop earrings for a pop of color. Did you know that fanny packs are actually in style? I never though I would actually say that or even wear one but here I am and guess what, the freedom is actually liberating! While I prefer to call it a mini hip belt bag you can call it whatever you want but just agree with me to try it out!